Located in East Asia, China is a huge country roughly equal in size to the United States of America. Home to the largest population in the world, China borders 14 nations and has coasts on the East China Sea, South China Sea, Yellow Sea and Korea Bay. China is big, diverse, fast-paced and ever-changing, meaning regardless of whether it’s your first visit or your fiftieth, it’s always an adventure. As the oldest continuous civilisation in the world, China certainly has its fair share of artefacts and although this ancient history isn’t etched on the streets, there are rich layers of antiquity waiting to be discovered. From breathtaking scenery to brilliant cuisine, China’s culture is a big drawcard. Between quaint villages, Buddhist cave statues and chunks of the Great Wall to water towns, mist-wreathed mountains and the islands of Hong Kong, China is a holiday destination of opposites that attract. With so much to see and do, China attractions are almost endless. Particularly when it comes to the coastal areas, once you’ve seen enough in one city it’s just a short train ride to the next town and a whole new range of attractions. From history buffs to nature lovers and those who just want to relax, China offers all the majesty of Beijing’s Forbidden City as well as all the spectacular scenery of Jiuzhaigou. 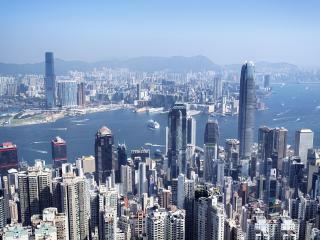 Hong Kong is a popular attraction thanks to its lush island-hopping opportunities. Another big attraction of China is it’s cuisine, from Peking duck in Kāifēng to noodles on Silk Road and the spices of Húnán or Sìchuān dishes, China’s cuisine is as much a part of the experience as it’s physical activities and attractions. Falling just behind Italy and Spain, China is home to the third largest number of UNESCO World Heritage Sites. This is not surprising when you consider that China is the world’s oldest continuous civilisation. In China, you may thank a person for pouring your tea simply by tapping two or three of your fingers on the table top. To signal you would like a refill, just leave the lid open. However when using chopsticks, it’s polite not to use them to move plates/bowls or make noise. Never stick your chopsticks vertically into a bowl of rice as this means you wish death on all those around you and is obviously a big no no.